A company has found the names that are naughty and nice. The official list of the naughtiest and nicest baby names. No need to decide if your kids have been naughty or nice when Christmas rolls around because the work has already been done for you. School Stickers, a company who produce a number of products in order to reward good behaviour at school have surveyed 70,000 students nationwide in the UK. 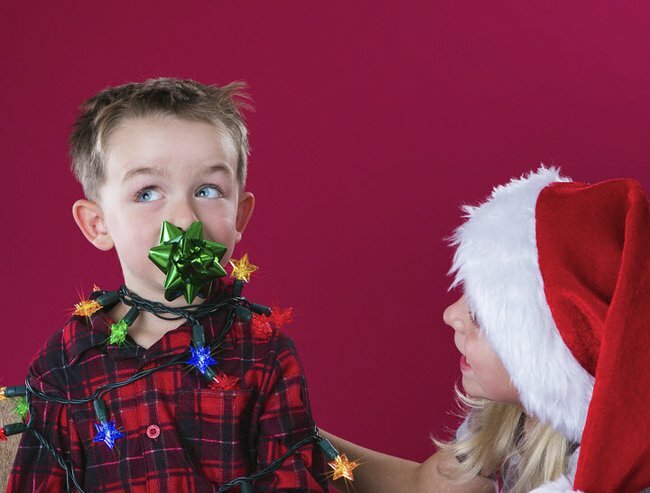 No need to decide if your kids have been naughty or nice when Christmas rolls around. Image via iStock. Using the data they have developed a list of the top 10 &apos;naughty&apos; and &apos;nice&apos; names for each gender. Neil Hodges, managing director of School Stickers said, &apos;Our annual &apos;Santa&apos;s Naughty and Nice list&apos; is just a bit of fun and not meant to be taken seriously. There are many children called Leah and Joseph who are perfect little angels, just as there are many called Harry and Anna who Santa is watching!"